In 2014, scientific research was published that reported that it had found – among others – endogenous viral elements (EVEs) from a Hepatitis B Virus in the speckled rattlesnake (Crotalus mitchellii). Analysis reveals genome fragments from the virus family were inserted into the genome of this snake over the past 50 million years. 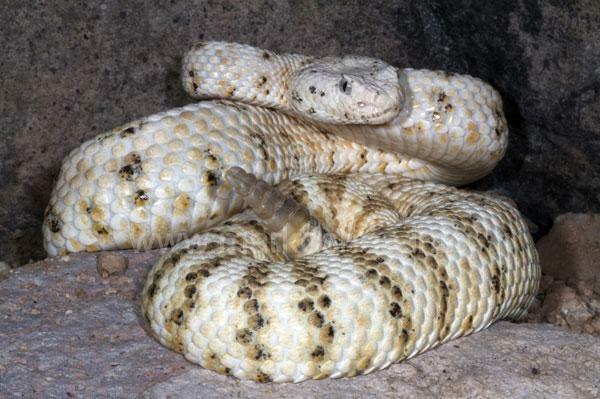 Further research for EVEs in the genome of the speckled rattlesnake revealed that there are two fragments with significant similarity to sequences from Hepatitis B Viruses. These were given the names endogenous Snake Hepatitis B Virus 1 and 2 (or eSHBV1 and eSHBV2). 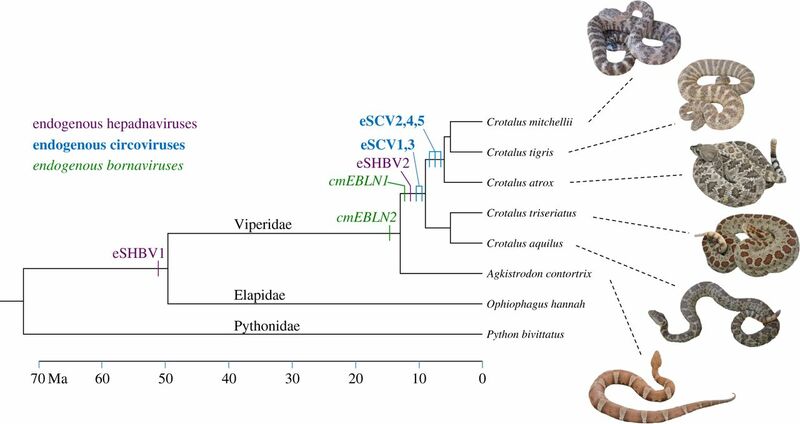 Interestingly, the cobra and rattlesnake eSHBV1 group tightly together, as could be expected given that the two sequences are orthologous (decended from the same ancestor). 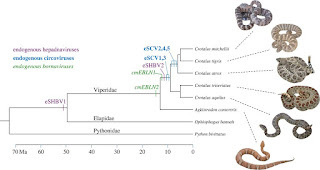 EVE scans in the cobra and python genomes additionally yielded a fragment in the cobra showing 60% similarity to the core protein of the Parrot Hepatitis B Virus.